Coffee Break!! Tea Time!! Any excuse to visit. Hi everyone, its Desiree!! I love this theme Jamie, thanks so much!!! I have so many great memories when I think of having coffee or tea with friends. I can remember back to my neighbor, always making coffee around 3 pm. My kids were on their way home from school and we would sit and drink coffee, relaxing in the cool afternoon breezes awaiting the onslaught of noise as the kids returned from school. It became a ritual with her and I, visiting for that last 1/2 hour of quiet. 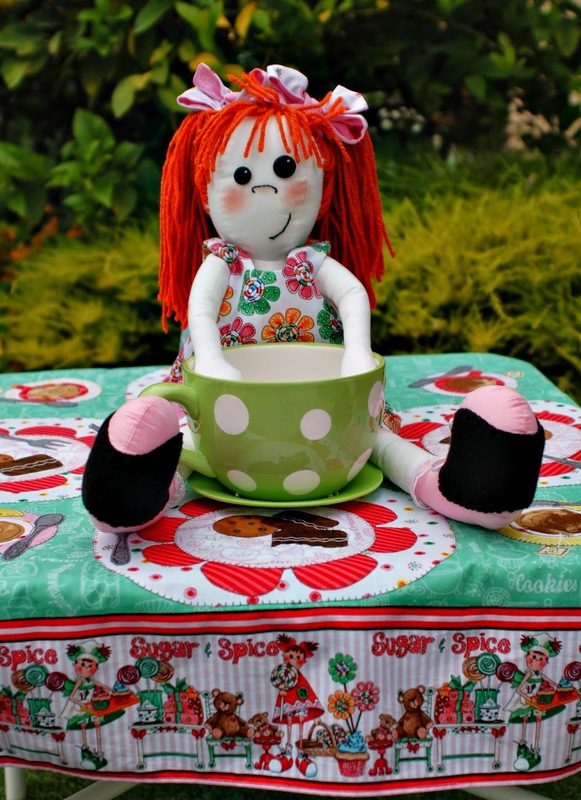 I have tea parties now with my granddaughters, friends and just about anyone who is game. 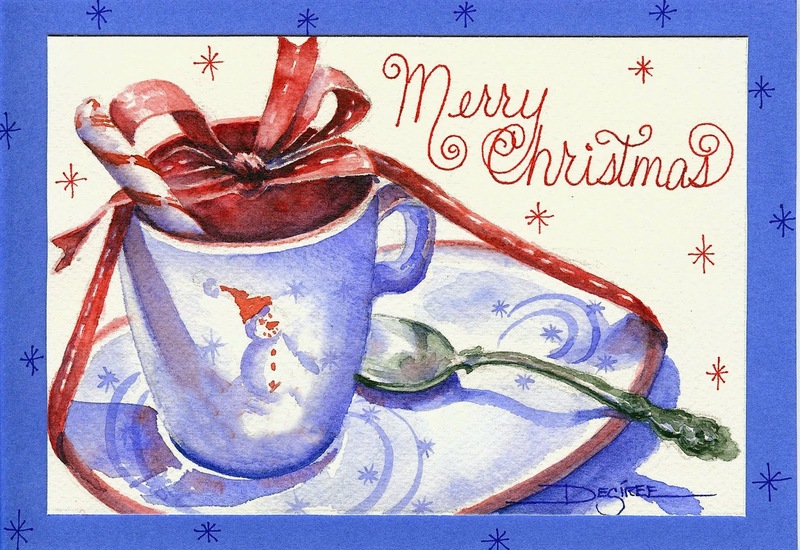 A few of my BFF's and I have done high tea at some of the best tea places in our area, yummy! For me it is a special time to honor friendships as we take the time to really sit and enjoy the experience. Recently one of my girlfriends introduced me to expresso, oh man, I am in love. Its a treat to make myself some and sit out back in the evening. So many wonderful memories around coffee and tea. 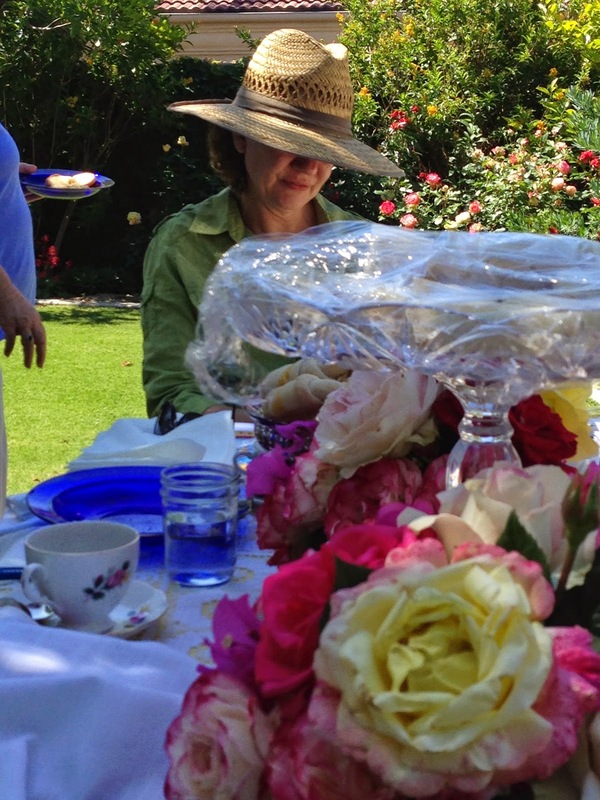 Like the time I had a Mother's Day Tea Party for my friends. It was actually a sketching class but I turned it into a tea party. Fun, fun as we sipped tea, ate cookies and sketched the table. I even set the table with different vintage tea cups, a day I won't soon forget. 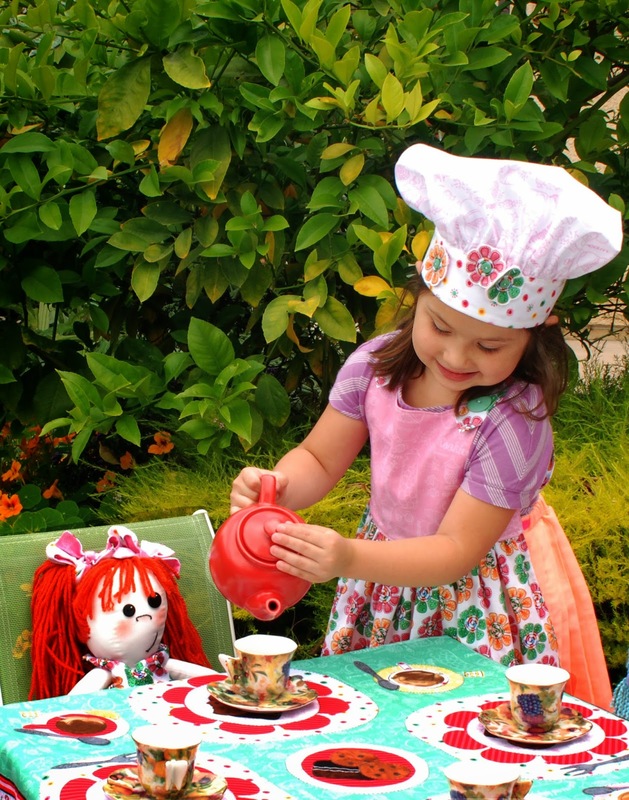 Then, of course there are the tea parties with my granddaughters…. 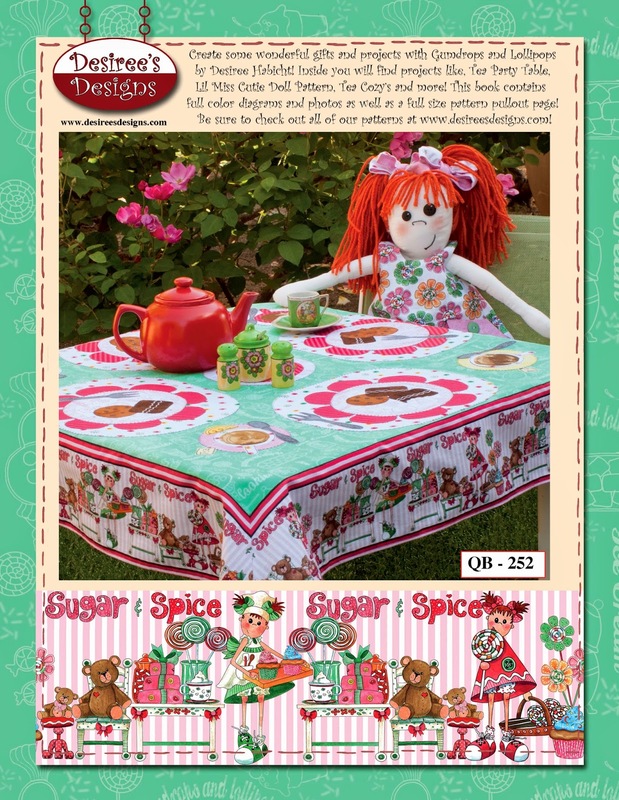 I even made them a tea party tablecloth..
My coffee cups and coco cups even make it to be my Christmas Cards some years. The feeling of welcome and join me come across so perfectly. 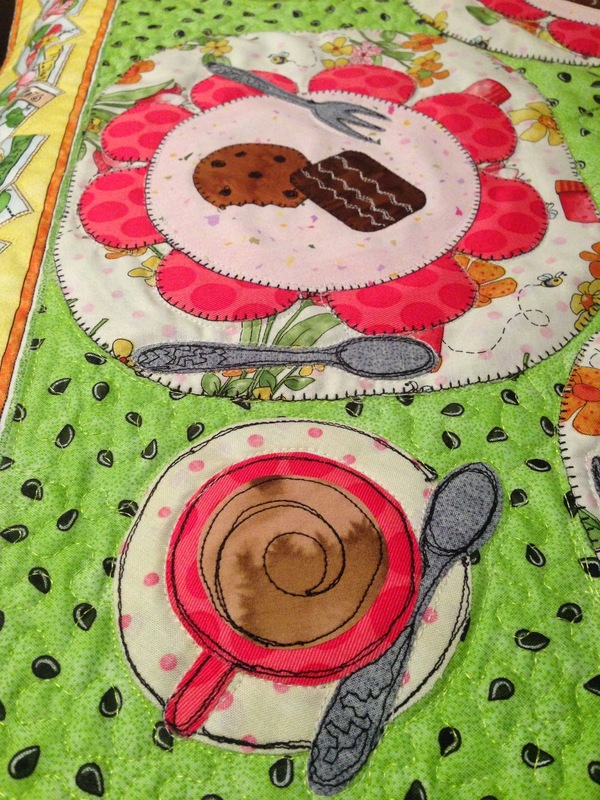 This month my Mug Rug club did small art quilts that are tea cups as our mug rugs too! 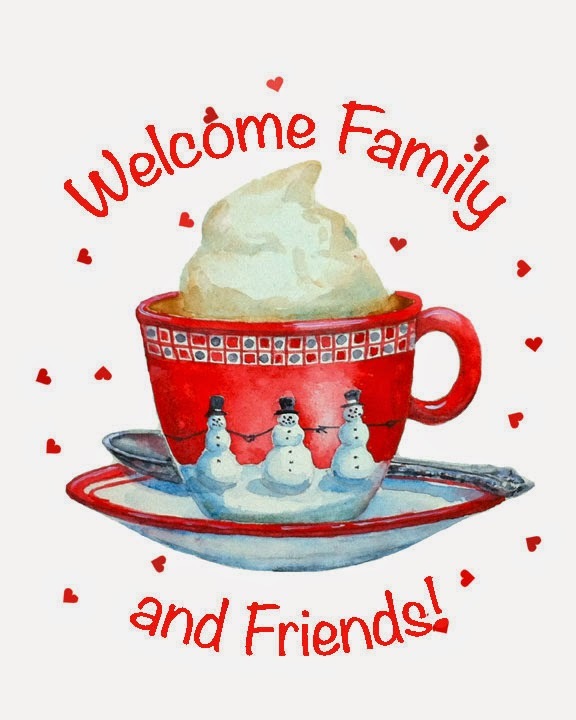 So if you happen to be passing through Southern California I hope you will stop by and have a cuppa tea, expresso or just coffee with me so we can just chat awhile!!! Tea & Coffee time is one of my favorite subjects to sketch, so when I found out what this month's theme was, I was thrilled. Quite often, my tea cups make the perfect sketchbook or art journal prompt for moments in my day. I remember a lot of special times, or simple experiences by the tea cup in my hand. Tea cups are remarkably easy to sketch and make fantastically colorful subjects to paint. You can do so much with a tea time sketch. August is also a big birthday month for our family, and to celebrate I'm taking $10 off ALL my online classes (excluding 21 Secrets). If you'd like to browse my offerings, please click here. 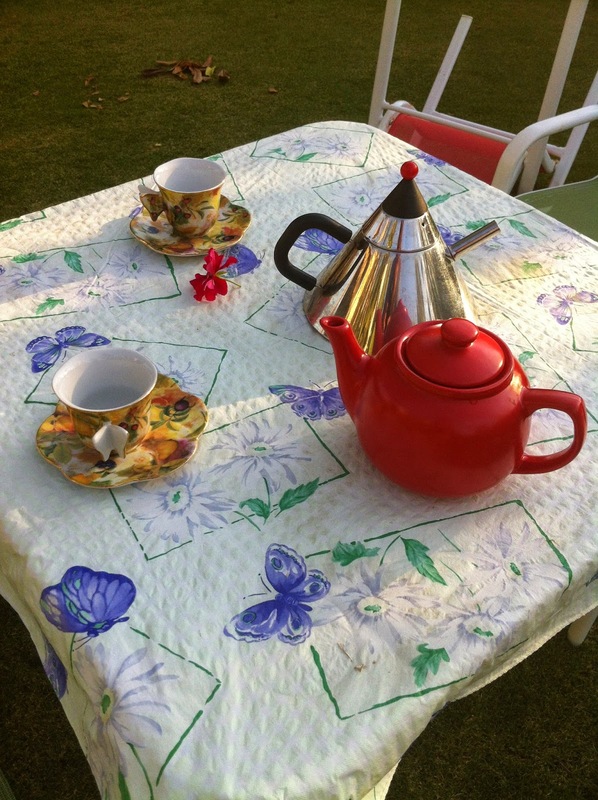 Jackie here with this months' theme, well tea certainly is not just for drinking in my house. A search on the internet will come up with lots of uses for tea bags and teabag paper, from stitching to waxing. I made a little sketchbook recently full of images using tea, either waxed and burnt tea bags or using tea, especially green tea, mixed with a little white vinegar to rust the pages. I love rusting paper and fabric, so exciting to see the images revealed, all so different partly depending on how much patience you have to leave the items to rust over night, or not. I used a fairly thick watercolour paper which meant that I could then go into the pages and add stitch and wax in parts. Try taking a photograph and then add some text and filters. I liked the detailed visual texture in this rusted page. Don't worry you can have your cup of tea first and save up the tea bags,or if you are old fashioned like me use the dregs from the pot. Greetings from Jamie Fingal in Orange, California. 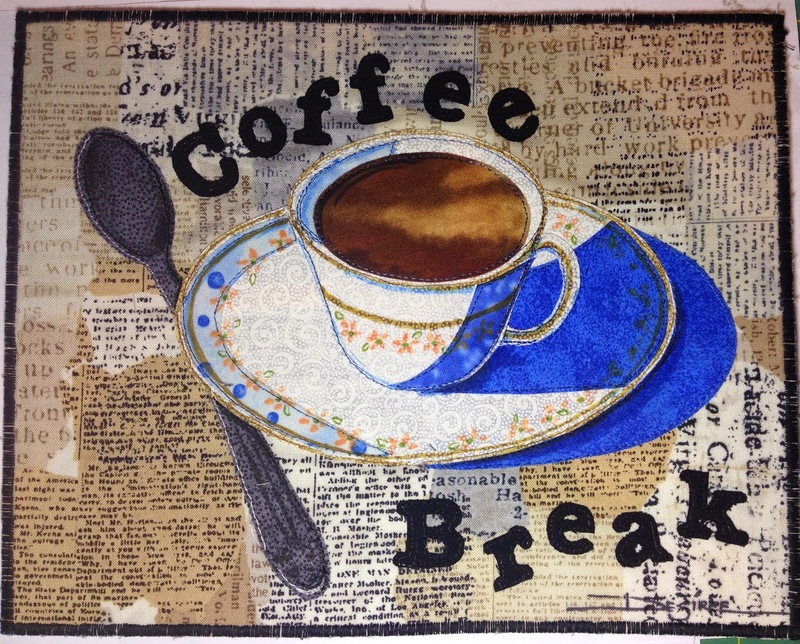 I am happy to announce the August theme - Coffee and Tea! Two of my favorite things in life! Anyone who knows me is aware of my love for the cup and saucer. I have a beloved collection of them, handed down to me by my grandma Alice. She also taught me how to sew. A cup and saucer (not matching) is a common motif in my work as a fiber artist. Here is one of my collaged quilts, using my fabric line (Hoffman Fabrics) with a cup and saucer on the roof, part of my signature style. Coffee on the House! From my sketchbook, these quotes caught my attention. I used Sharpie pens and Copic markers in all of these drawings in my sketchbooks. Coffee and Tea inspire me. There is nothing like going to my favorite shop for a cup of something soothing, refreshing, warm, delicious, smooth, and yummy - with a friend, a book, sketchbook and drink it all in. A brew will see you through. What's your favorite? Hot, cold, iced, black, blended, decaf, heavy on the foam or whatever floats your boat. Share with us! and then there are all of those delicious foods that go so well with coffee and tea. A cup of tea. Tea for Two, What's your pleasure? I hope you are inspired to share your interpretations, ideas, and visions. Have fun with it. I sure did! Happy August! Please share your images from this months theme in The Sketchbook Challenge Flickr Group, and don't forget to tag it with the code aug174 so it can be included in the end of month slide slow on this blog.